The Rohingya refugee crisis is one the greatest human tragedies of our generation affecting millions of lives , a majority of them children. 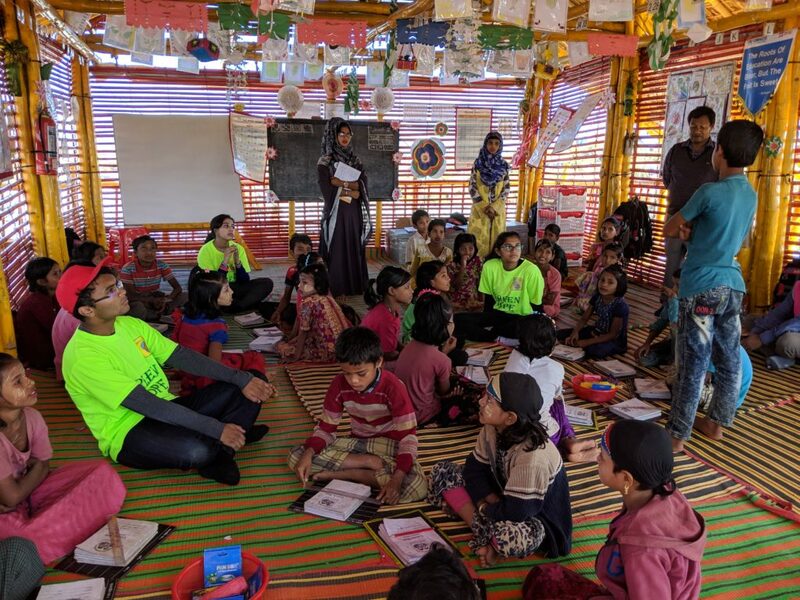 A Green Hope team visited several camps along the Bangladesh border and conducted workshops for Rohingya children most of whom have no access to school. 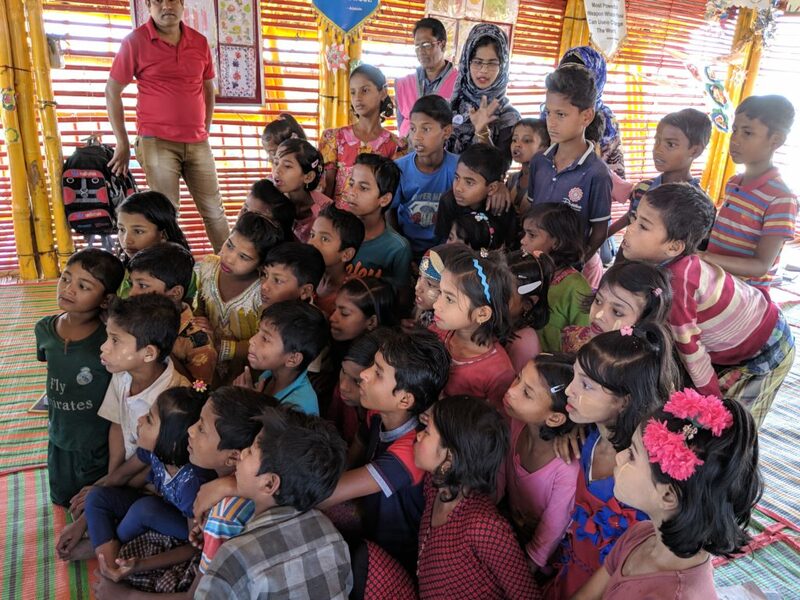 Using innovative mediums of art and music , we surmounted the language barriers and taught the children about environmental protection, plastic pollution, waste recycling and segregation and how to calculate their carbon footprint. Turning into eco-warriors , these children planted over 100 trees in their camps during the workshop to offset their carbon footprint and pledged to stop using plastic bags. These workshops implemented the United Nations mandate of “Leave No One Behind” providing inclusivity for children whom the world has chosen to forget.